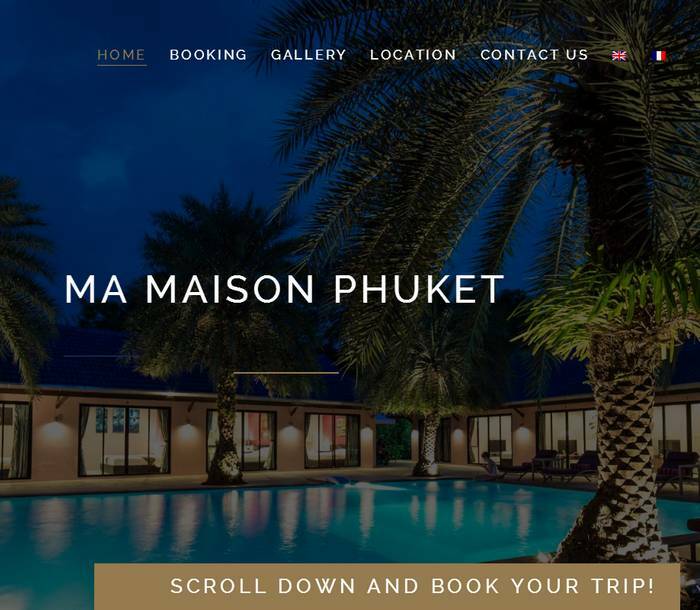 Ma Maison Boutique Hotel sits on a wonderful location, 50 meters from the Bangtao beach. Ma Maison Boutique Hotel truly feels like a peaceful relaxing oasis. We created for them a new modern responsive one-pager website. We also installed a multilingual back-end system (WPML) and translated the website from English to French.